Whether you need cleaning for a special occasion, after a major home improvement or just for regular maintenance, you sure would appreciate some help cleaning the house. All myths aside, if cleaning your home is an ordeal too overwhelming for you to cope with on your own, you’ll need a helping hand – that of a professional. So should this professional be a house cleaner or a housekeeper Los Angeles depends on? Do I need a housekeeper? It’s important to think things through when choosing between housekeeping or house cleaning services. For your convenience and to help you make the right call, we’ve put together a rundown of what each of these cleaning professionals can do for you and your home. In a city like LA, the value of saved time is multiplied when put to good use. By sparing yourself the trouble of doing all the cleaning by yourself, you’ll be able to live your life to the fullest in Pacific Park. However, saving time should not equal wasting money. 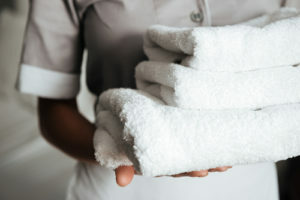 The services of a housekeeper are something not many of us can afford and even borders on the extravagant. A housekeeper lingers around the house even when there’s no work to be done, which, if you enjoy your privacy, takes getting used to. What’s more, housekeeping requires the family to provide all the supplies needed for the job. A house cleaner, on the other hand, will drop by only when it suits you, even with a late notice, and the charge for that is perfectly reasonable. What is especially convenient is that a house cleaner comes in ready to get to work fully equipped with effective and environmentally friendly cleaning products, at no extra cost. Luckily, for the typical household, the services of a house cleaner are more than enough to help things run more smoothly. Estimating the typical workload when it comes to the chores in your household is a prerequisite when choosing between a house cleaner and a housekeeper in Los Angeles. If you require help around the house from time to time, say, once a week, go for the house cleaner. If you are running an enormous household and juggling too many obligations at work and at home, so that the household gets neglected all the time, the housekeeper might be the solution. If you expect someone to do all the cleaning, cooking and running errands on a regular basis, you want a housekeeper. If, on the other hand, you are largely independent and prefer to do everything by yourself, hiring a house cleaner would help you do all those things, minus the cleaning, more efficiently. Also, if you want the person helping you to be completely professional and stay out of your business for the most part, again, a house cleaner is what you want. If you believe a housekeeper would be the right choice for you, you probably want to know what this kind of service entails. If you hire housekeeping in Los Angeles, CA, you can expect your maid to perform any general cleaning and organizing tasks which you assign them. 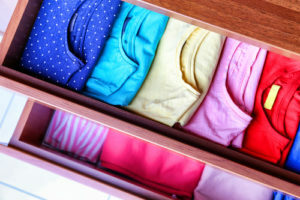 For example, your housekeeper can organize your closet and do your laundry, among other things. Typical housekeeping tasks include vacuuming, mopping floors, dusting, ironing, making beds, emptying trash etc. Some housekeepers will also cook or perform more meticulous cleaning tasks such as cleaning your furniture or windows. The exact tasks will depend on the housekeeping company you choose as well as your individual arrangement with the maid. How to hire a house cleaner in Los Angeles CA? If you’ve decided that you don’t need housekeeping in Los Angeles County, you’re surely wondering how you should go about hiring a house cleaning company. Here are some questions you should ask a house cleaning company before hiring. Do you perform a background check on your employees? A professional house cleaning company will perform background checks and screenings for all its employees to ensure your security. Don’t forget to check this before you choose a house cleaning service if you want to be absolutely sure that you’ll be letting only the most trustworthy cleaners into your home. If a cleaner steals, damages or breaks something in your house, you want the company you pick to be bonded and to carry liability insurance or you won’t be able to get any kind of compensation for the damaged or missing items. In California, house cleaning companies are required to provide their employees with worker’s compensation. This means that you won’t be considered liable in case the employee gets injured while cleaning your home. If you happen to be dissatisfied with any part of your house cleaning service, a good company should be able to give you a satisfaction guarantee. For example, most companies will send a cleaner to re-do any missed spots to ensure your maximum satisfaction. Here at Maid This, we strive to make our clients absolutely happy and that’s why we’ll send an expert crew to take care of any areas you might be dissatisfied with shortly after you contact us. When a housekeeper in Los Angeles is too much, a house cleaner is the answer! Each of our cleaners is not only a professional house cleaner in Los Angeles, but a professional in every other sense too. The seasoned experts at Maid This will use the allotted time wisely and make sure that you receive top-notch service at a reasonable price, which is in your best interest as well as our own. Get in touch with us today and see what we can do for you and your home!